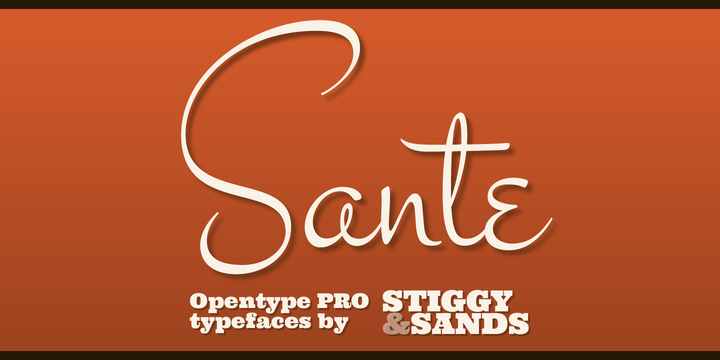 Sante Pro is an elegant vintage typeface created by Brian J Bonislawsky & Jim Lyles and published by Stiggy & Sands that contains extra features, Opentype features. It is ideal for special events, invitations, weddings etc. For more information you’ll have PDF guidebook. A font description published on Wednesday, October 16th, 2013 in Fonts, Stiggy & Sands by Alexandra that has 3,965 views.